I can’t believe it’s the last weekend in August! 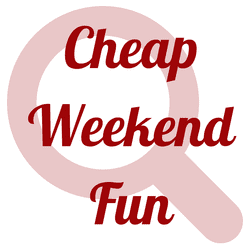 Here’s some fun and cheap things to do this weekend! If you have Friday off, don’t forget to check out the last Free Friday Events Roundup of the summer for some fun and free things to do! Saint Anthony’s Feast: August 28-30, 2015 in the North End. Enjoy the largest Italian Festival in New England with vendors, music, fun and more! Sports Sunday: Sunday, August 30, 2015 at The Lawn on D. Head to the Lawn on D to watch the Red Sox take on the Mets on the big screen sponsored by WEEI. Sunday Parkland Games: Every Sunday starting Sunday, June 28, 2015 through August 30, 2015 from 3:30pm-6pm in Cambridge. Free Sunday games along the banks of the Charles River every Sunday in the summer as well as yoga at 5pm. For even more fun and cheap things to do this summer don’t forget to check out 27 Free Things to Do This Summer in Boston, Top Things to Do on a Boston Vacation and Free Fitness Classes and Events This Summer as there’s a lot of things that happen on the weekend! Also, just a reminder that you can hit the South End Open Market at SoWa every Sunday, take a free trolley to Columbia Point on the weekends to check out museums, and enjoy Summertime @ The Street with free music and yoga!